An RC jet is a model airplane driven by electric ducted fans or EDFs rather than propellers. They can be military fighter jets, private business jets, or passenger jets. Flying radio controlled jets is still something of a niche hobby. That means there are fewer choices than with propeller type planes. This short introduction looks at a few essential areas to consider before buying one of these puppies. Durable EPO, lots of room for modifications, easy hand launch, stable flyer. Lightweight EPO, brushless motor, agile and stable, plugin wings, realistic sounds. Great beginner craft, attention to detail, easy to bank and yank, stabilization. My guide looks at entry-level electric type jets aimed primarily at the beginner. There are much bigger, costlier high-end models reserved for highly-skilled pilots. Still, that’s nothing for this guide. We all need to start somewhere, and the model jets on this page make ideal training crafts. It’s worth noting that RC jets are more powerful and faster than conventional models. That also means they’re harder to fly. The planes in this guide are for RC jet beginners, but not for those new to flying traditional RC airplanes. The first model here is a kit. Assembling is a great way for new users to familiarize themselves with the workings of these crafts. 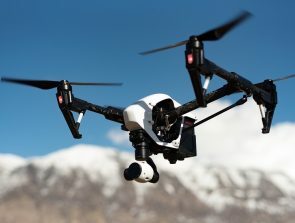 Pilots can also choose its radio control system. This short guide is an introduction to radio-controlled jet airplanes. The aim is to get you familiar with a few models, what they offer, and the reasons to consider one. 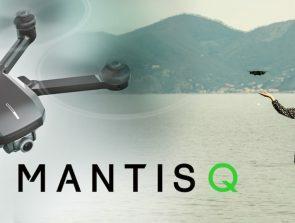 If you try flying an RC jet—and get the bug—then a whole new world awaits. There’s a vibrant RC jet community out there that’s always eager to welcome new members. The models in this guide will give you an excellent insight. I chose these three models based on real user feedback and personal views. I also considered the opinions of experts during the selection process. I’ve ordered them by Best Budget, Best Value, and Top Pick for convenience. The table below shows the order these RC jets appear on the page. 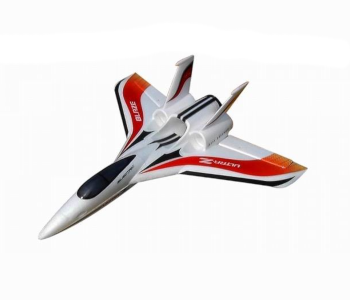 The Zeta Ultra-Z Blaze is a stunning RC style jet plane kit with beautiful decal. It looks a tad plasticky out of the box, but that disappears the moment this powerful beast takes to the sky. Don’t worry if you haven’t assembled a radio-controlled jet plane before. Most of these models are straightforward. There’s also the RC jet community out there if you do get stuck. These are folks who are happy to help fellow enthusiasts. It’s this camaraderie that makes the RC world so enjoyable. Flying the Zeta Ultra-Z Blaze is a blast with any chosen setup. The tough, lightweight EPO material makes it easy to hand launch despite its size. That’s when the real fun begins. The jet is fast and agile yet easy to control from the ground. The bright colors make it easy to see, so there’s never any worry over orientation. Pilots love having the room to tweak and modify this model. As an RC Jet kit you need to buy extra parts and electronic accessories to complete the model. Many enthusiasts prefer this as they get to decide on the battery and radio system. The other electronics depend on the configuration you choose. Talk to the community if you’re in any doubt. There aren’t any major shared gripes from fans of the Zeta Ultra-Z Blaze. Some less-experienced owners complain that the user’s manual is too vague. There are always YouTube videos and the community for anyone who runs into problems. Some users don’t like the noise this jet makes, especially at high speed. One reviewer compared it to a giant mosquito. Others love its sound, though. The final gripe is one that curses all RC aircraft, and that is short flight time. You can expect only 5-minutes on a full charge, although it can vary slightly depending on the setup. 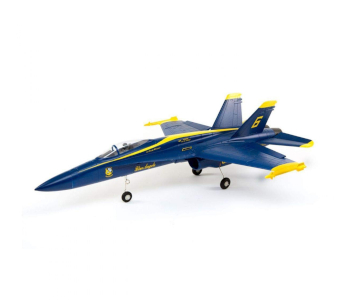 The Best Value pick goes to the F/A-18 Hornet Blue Angel Fighter Jet which is a striking model. It demands attention with its bright colors, elaborate details, and easy maintenance. The real thing is a multi-purpose fighter jet that handles a range of military functions. The RC jet version doesn’t disappoint either. It’s a lightweight EPO foam craft with incredible aerial aerobatic performance. All models on this page are impressive fliers, but this beast has a certain edge. The F-18 Blue Angel flies at incredible speeds but also displays impressive low-speed qualities. Under the hood runs a powerful 2840-3150kV brushless motor. And the installed 11-blade ducted fan system delivers 800g of pure thrust. That’s the power behind this jet’s mind-blowing aerobatic function. Pilots can also remove the landing equipment and hand launch the model for more speed and agility. The realistic sounds of this RC jet resemble an actual turbine engine. I’m serious. A lot of models have an irritating buzz but not this one. Another welcome feature is the plugin wing arrangement. Taking the wings off helps to protect the model better when it’s in storage. The easily detachable wings also make this big bird much more comfortable to lug around. The only shared complaint with this model is its 5-minute maximum flight time. That may be standard for RC jet planes in this class, but it doesn’t make it any less frustrating. The Force F-18 Blue Angel V2 is so much fun to fly that extra batteries are not a choice but a necessity. E-flite’s UMX™ A-10 Thunderbolt Basic is easily the best in its class. You need to experience the full maneuverability and sheer power of this model to believe it. Let’s take a closer look. 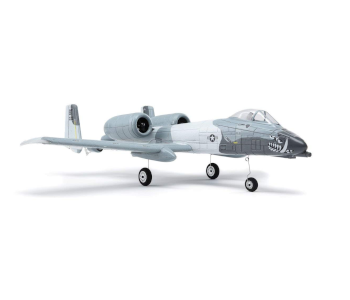 This is an ultra-micro Warthog attack jet replica. It’s an ideal choice for an RC jet novice, yet provides enough flying fun for experienced pilots. The scale detail is incredible and even has a pilot figure in the cockpit. The smaller size doesn’t detract from the massive appeal of this model either. The A-10 Thunderbolt also goes by the names Warthog, the Tank Buster, and the Flying Gun. It’s all the same jet. The hand launch is straightforward with every takeoff. If you prefer regular takeoff and landing, you’ve got that too. Just attach the standard landing gear with steerable nose wheel and away you go. This tiny model’s fierce reputation in the sky comes from its realistic flight performances. Its 4-channel control, dual rudders, and sheer power provide all the bank and yank a pilot could wish for. It’s likely one of the most responsive RC jets in its category. That’s why it’s an excellent choice for less experienced radio-controlled jet pilots. The model has AS3X® stabilization technology built into its receiver. AS3X technology helps to minimize the impact of the wind and turbulence. This model is bind-n-fly or BNF for short. That means you must buy the transmitter separately and then bind it to the craft’s receiver. The UMX A-10 needs a full-range, 4-plus channel DSMX/DSM2 controller to fly. Other items not in the box—but needed—are a 450-800mAh 2S LiPo battery and a compatible 2S LiPo charger. That’s about it. There are only two disadvantages to the E-flite UMX™ A-10 Thunderbolt Basic jet. One is the short 7-minute maximum flight time. The other is the flimsy front end landing gear. The rear wheels are okay, but the steerable nose wheel looks like it could give up at any time. 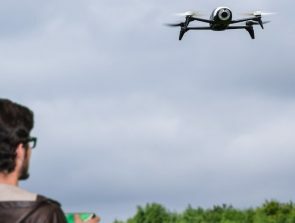 Can I Legally Fly a Drone Over People?